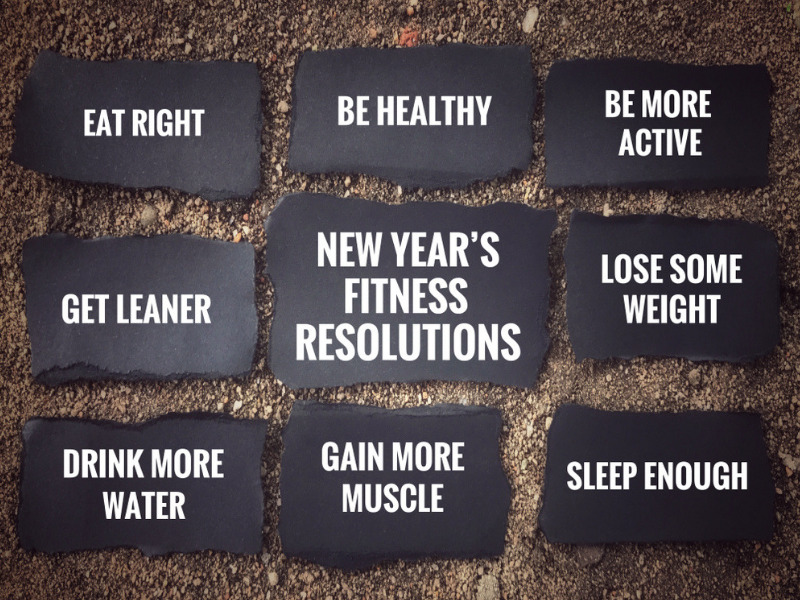 It’s never too late to make some healthy resolutions! While 2019 is already a few days old, but’s not really too late to revive our new resolutions and add some new to the list. By Healthy resolutions, we mean those healthy lifestyle changes that will keep you Hail & Healthy. When we were kids we never realized the importance of a healthy body. But gradually the understanding develops! Without any doubt, there would be many of the uncompleted resolutions that you made. And, maybe there are a few fresh resolutions for 2019 that you want to make for a more happier and improved life. Your body needs to be nurtured and loved! You need to feed it with some clean food. This means cutting down on the number of processed foods that you have been feeding into your body every day. Make a resolution to eliminate processed food, carbohydrates drinks, and artificial sugar from your diet. Give emphasis more on vegetables, fresh fruits, nuts, legumes, whole grains, and seed. Include food like beetroot, tofu, chickpeas in your diet. You need to move your body! Not just for your body, but exercising regularly is also essential for a healthy mind. According to one study, it has been found that not moving your body enough and not exercising regularly can have more bad results than smoking. And, the good news is that you don’t really have to hit the gym all the time for keeping it healthy. You can choose some physical activities from your daily life to remain fit & healthy. For example, you can choose the stairs over the list while you are on your way to the office. This year bring these small changes in your life to bring about the bigger results. People see praying very differently! It can have some real logical explanations! Prayer is nothing but establishing the purest form of communication with the purest soul of the Universe. It indeed brings about a sense of discipline into your life. You don’t need to devote an hour or two to make God happy. Include the habit of praying for 5 minutes every day in the list of your healthy resolutions for 2019. Let’s call it ‘establishing a connection to the purest soul”. One of the important ingredients of a healthy life is getting enough sleep every day. It helps in rejuvenating every cell of your body and making them ready for the next day's tasks. Lack of sleep can result in many problems like loss of appetite, depression, skin problems, weight gain, and any more. In fact, the root of every small and big disease is lack of sleep. As per the National Sleep Foundation, every person who is above an age of 18, needs 8 hours of sleep. So, this year make a resolution that you are not going to party late at night or watch the Netflix series till 4 am. If it’s looking hard, you can try out some yoga postures and other tricks to take 8 hours of sound sleep. One of the major causes of all the diseases in the Universe is Stress! So, one of the most important thing that you need to include in the list of healthy resolutions for 2019 is finding ‘Ways to fight stress’. This year vow to avoid yourself pushing yourself every time. Take some time to reach out to your friends, relax, unwind, work on your hobby, talk to your heart and travel. In nutshell, try to be yourself. Don’t try walking on anyone else’s path. The most important part of creating a healthy and happy life for yourself is being simple, slow and yet mindful. Find a way that can help you maintain that much-needed balance in life so that you could cherish every bit of it. Even giant personalities like Steve Jobs have said that sometimes its very important to slow down. Don’t set impossible standards!